â€œEvery band I love, they have something in their hands and create something unique,â€ explains singer/guitarist Leif Koren of Norwayâ€™s Bonk. â€œShitloads of bands just make a copy and donâ€™t throw themselves inside it.â€ Thereâ€™s really no way to properly explain what Bonk is in Korenâ€™s eyes, as explaining art is often more difficult that it may seem. 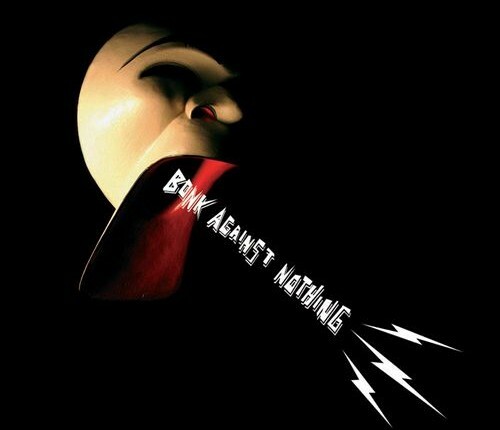 But just know that the bandâ€™s sophomore album Bonk Against Nothing (Ace Fu) has all the elements of a classic punk/rock album, with deep basslines, hellish and blaring guitar riffs and vocals that sound like a mix between Bon Scott and Jello Biafra. Itâ€™s Osloâ€™s answer to forty years of rock â€˜nâ€™ roll and it all comes from the heart. Bonk Against Nothing is the follow up to 2005â€™s Western Soul, which captured the hearts of critics and won over fans worldwide, earning them the rights to open for Franz Ferdinand and Gluecifer, ruling the stage each and every time. The theme of organic comes up time and time again with Koren, who says of playing live, â€œItâ€™s just a matter of sewing oneself in. When you can get whatâ€™s inside of each and everyone in the band, thatâ€™s where you get the chemistry.â€ Perhaps when things happen naturally and arenâ€™t forced, thatâ€™s when you attain true art. The band now consists of four core members, Koren, Andreas â€œDezâ€ Grotterud (guitar/vocals), Gisle Amundsen (drums) and BÃ¥rd HÃ¸vik (bass), although the original lineup began with Koren and Grotterud in the late 90s. From there itâ€™s been about developing the sound that makes Bonk exactly what they are. Not just one single sound, but an amalgamation of influences creating hard rock â€˜nâ€™ roll that interconnects the edginess of late 70s U.K. and U.S. punk, the pure fuzz tones of 60s garage rock and any modern influence that made its way to the Oslo airwaves and into the ears of the bandâ€™s core songwriters: Koren and Grotterud. The duo seem to collaborate quite well, allowing each song to have an organic process in which to develop. â€œThe song forces the style upon how we sing and how weâ€™re dealing with it basically,â€ says Koren. â€œLike the first song on the album [â€œThe Houseâ€™], I have never heard Dez sing that way, and he has never been singing that way either. So itâ€™s just what the music requires.â€ Throughout the record you really canâ€™t tell who is singing what as they go back and forth quite often, but what they do share is aggressive and extremely fluid vocal styles, complimenting the bandâ€™s sound, such as the part metal, part rock â€œImages.â€ The song is delivered as stream of consciousness with staccato vocal rhythms weaving in and out, keeping the listener wide-eyed because they have no idea whatâ€™s coming nextâ€”a trait that continues throughout the record. The recording process for such a powerful and commanding band might be tough, but according to Koren, he has a love affair with both live performance and the studio. â€œIâ€™m a bit tedious. I am quite interested in the craft,â€ he admits. â€œItâ€™s just two different sensations. In the studio itâ€™s more in the head and live itâ€™s more physical and being in touch with the people.â€ This mentality reinforces how intelligent this band is and why Ace Fu felt so strongly about signing them after a single live performance. It was a trust-your-gut reaction and those tend to be the best decisions someone can makeâ€”especially a label-owner whoâ€™s been there and done that for years on end. Each song on the record depicts a strategic move to enter your subconscious, get stuck in your head and basically force you to pray youâ€™ll get to see Bonk live. Koren is keeping a level head about whatâ€™s happening at the moment. â€œNo matter where you are in the world,â€ he says, â€œif youâ€™re from Bangladesh or from the States or from Norway, itâ€™s just so funny when you can connect with people when you get into things. Itâ€™s just such an ever-so-good feeling.â€ Coming from a small village of 500 people, itâ€™s pretty cool to think youâ€™re affecting people thousands of miles away. And you will have no choice but be affected while listening to the record. Bonk Against Nothing is out now.